I've been on a bit of a cinnamon roll kick lately. I've stuffed them with blueberries, bacon and sausage. I really enjoyed all of those combinations! 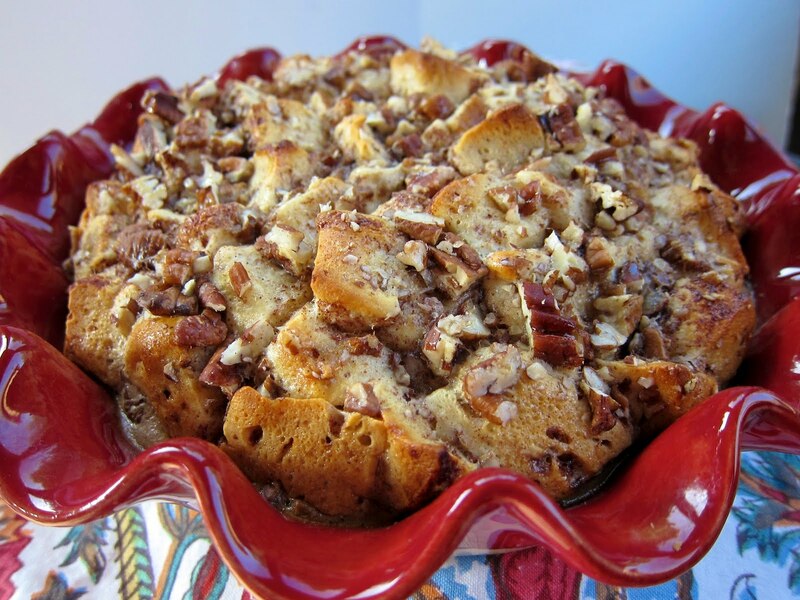 This time I found a recipe that transforms cinnamon rolls into a wonderful french toast bake. This was really quick and easy. I don't know if it is quick enough for a weekday morning, but it is perfect for the weekend. We both preferred the cinnamon roll bake with icing instead of syrup. Next time I will slather the icing all over the cinnamon rolls as soon as they come out of the oven. YUM! I cut the original recipe in half since there are only two of us. I listed the full recipe below. I love this idea. It sounds like such a decadent breakfast. I bet this would make my husband slap himself silly. He's a cinnamon roll freak! When you say you prefer the icing instead of the syrup, do you mean you put the icing in place of the syrup and bake it that way or what? Because I'm thinking the icing mixed in with the bake would be way better than the syrup would! LauraJ - When I say that I preferred icing over syrup - I mean on the finished product. The recipe calls for icing, powdered sugar or syrup. I liked the icing. Keep the syrup in the cinnamon roll mixture while baking. It is really good! Oh my, that looks sinfully delicious! This sounds right up my alley. Thanks for sharing this with us! Oh my gosh, this looks amazing! I'll definitely have to try this soon! ok, great! Can't wait to try it! I made the kids a baked french toast for them for Christmas morning and they were not impressed. 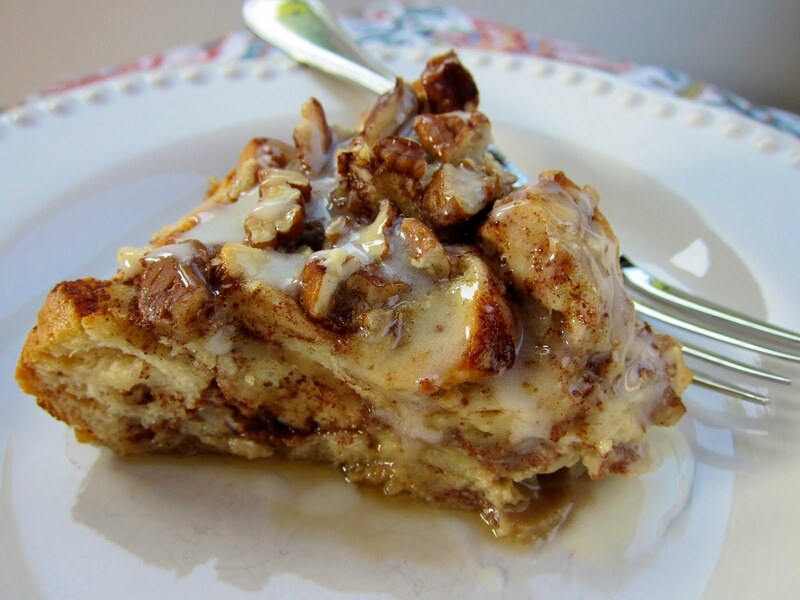 Your cinnamon roll version sounds like it might get a thumbs up from them. This was delicious. The only change I would make is to add raisins next time. I made this today for Christmas breakfas.. What a hit!! This will for sure be on my yearly Christmas list.I also cut it in half. I made this for Christmas breakfast, mainly for the kids. They absolutely loved it, and I gotta say, I liked it just as much as they did! Such an easy recipe, and it is so incredibly delicious! I left the pecans off of ours, just totally eliminatated it from the recipe since my daughter is deathly allergic to nuts of any kind. So if you have a nut allergy, take it from me, you can just leave them off. You won't miss them.